In 2013, Hilton gutted its award chart for its top tier properties by adding several categories and moving the most expensive properties from 50,000 points per night to 95,000. But during the gutting of the top end, the bottom tiers actually got less expensive! Categories 1 and 2 both got 2,500 points per night cheaper. Category 1 dropped to 5,000 points per night and Category 2 dropped to 10,000 points per night. That made the number of points for a free night at Category 10 hotels 19 times more than what you need to book Category 1 hotels. That’s an extreme difference. IHG Rewards requires only 5 times the points for a top tier versus bottom tier hotel. Then Hilton changed it’s award pricing to a revenue-based system. Rooms now have variable rates that will fluctuate with supply/demand and the price of the room. Hilton has promised though that the point price of a room won’t rise higher than what its category was priced on this old chart. A) Some rooms will be cheaper in off season. B) Perhaps some rooms will be more expensive in that they consistently price at the top of their range instead of a previously lower price. C) The award chart is no longer published online. For me, the old chart bifurcated the old Hilton program and created two viable strategies to maximize the program that still hold true today. I don’t think the new pricing scheme affects that strategy much, as the hotels in Categories 1 through 3 will remain the same price, and no matter what happens to the price of the higher end hotels, your Free Night Certificate should cover it. The first strategy is to get the Citi Hilton Honors Reserve Card with Two Free Weekend Nights worldwide at top tier Hiltons after spending $2,500 in four months. This card also comes with automatic Hilton Gold Status. The free night certificates are good for Friday, Saturday, or Sunday nights, and the Gold status ensures free wifi and breakfast on stays at eligible Hiltons. Since it costs one free night certificate whether you stay at a Category 1 or a Category 10, you should endeavor to use them at the most expensive hotels, namely one of (what used to be called ) the 62 Category 9 and 10 Hilton properties. I have already covered a few of these top properties before. Here’s another post about top properties to use your certificates on within the United States. This “Top Tier” strategy for folks who want to stay at $1,000+ per night properties they couldn’t otherwise dream of, like the Conrad Koh Samui in Thailand. 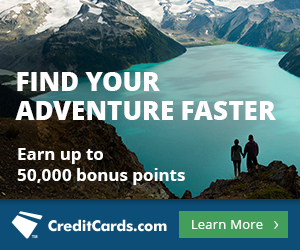 The second strategy is to get a card with a sign up bonus in Hilton points, not free nights, and use them at low category hotels–a card like the Hilton Honors Card from American Express, which is offering offering 80,000 Hilton Points after spending $2,000 in the first three months and automatic Hilton Silver status. Another great card for accruing a lot of Hilton points to spend on a multitude of free nights is the Hilton HHonors Surpass Card from American Express. It comes with 100,000 bonus Hilton points after making $3,000 in purchases in the first three months and automatic Gold status. …including the 5th-night-free bonus available to all Hilton elites on award bookings, which is you if you hold either card. The Hilton Pyramids Golf Resort in Giza is a luxurious Category 2 hotel. You could stay for up to 18 nights here with 188k Hilton points! These strategies use categories 1, 2, 3, 9, and 10. I think Categories 4-8 hotels in the HHonors program offer poor value. They are too many points during peak season–30k to 80k per night–to get maximum value with points compared to Categories 1-3, and they are too cheap with cash to get maximum value with free night certificates compared to Categories 9-10. If you want middle tier hotels, try a different program like IHG, Hyatt, or SPG, or look into Hilton Points & Money Awards which can sometimes be a good deal. You aren’t limited to choosing just one strategy or the other. 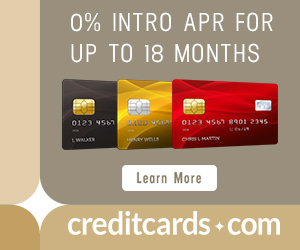 There are no rules from either Citi or Amex that would prevent you from opening all three cards, the Citi Hilton Reserve, the Hilton Honors, and the Hilton Honors Surpass, at the same time. Hilton has an extreme award chart on which some free nights cost 19 times other free nights. That requires us to adopt an extreme strategy and either try to get value with points at the bottom end (for lots of free nights), with free night certificates at the top end (for two free nights at a five star hotel), or do both at once. I don’t recommend booking middle tier Hiltons with points unless you happen to find a good Points & Money deal. From the application page: Hilton HHonors Bonus Points offer not available if you have had a Citi Hilton HHonors Visa Signature Card account that was opened or closed in the past 18 months. Talk about extremes in HH points requirements. Venice Hilton offers a room for ~3Million points and it asks whether I want to purchase those points for ~$72K! It makes perfect sense but the problem arises when you want to stay three nights at a category 9 or 10 property but one of the nights is not a weekend night. You do not want to change the hotel for one night specially if staying with family. And don’t forget points and cash, either. If available, it makes the best use of a poor points-only redemption in the middle of the award chart or significantly enhances the value of a high-end/low-end redemption. You completely misunderstand how to maximize HH on top end. Please enlighten us. We are here to learn. Who would have thought that you will get a much nicer credit card when living in Germany? For 48 Euro per year you receive a welcome bonus of 10.000 points and GOLD status (no matter how much you spend). I think Gold gives you plenty of benefits – especially compared to Silver.